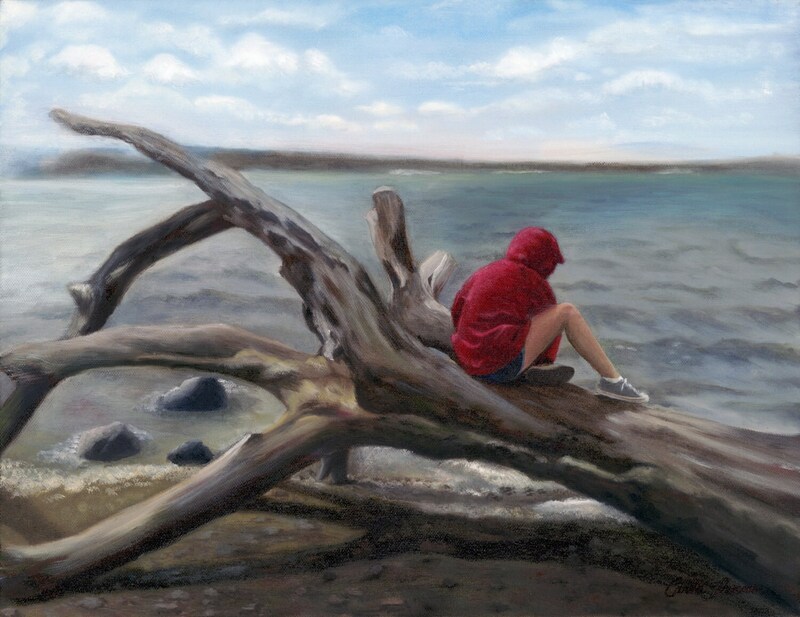 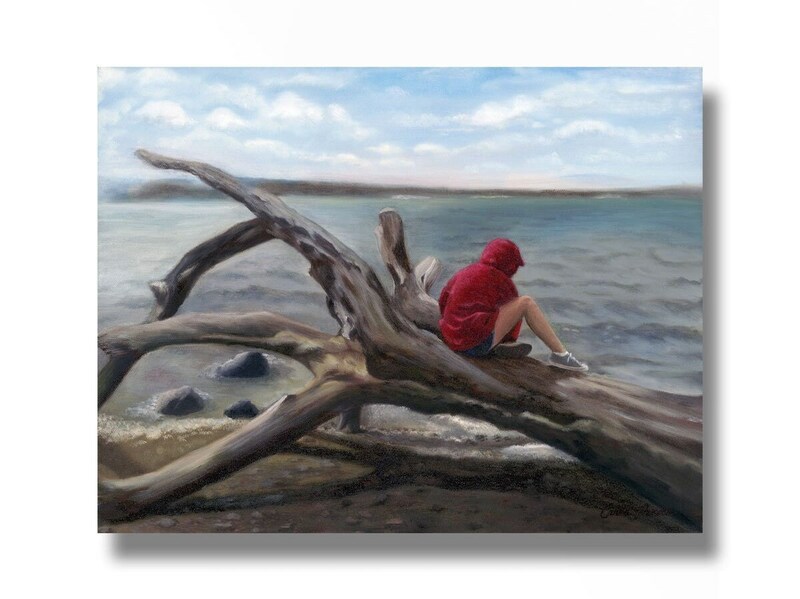 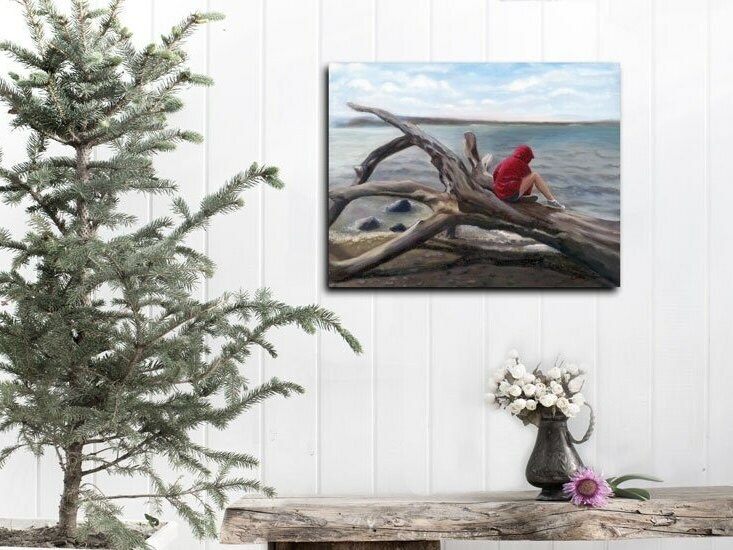 A seascape art print of a child exploring the seashore. 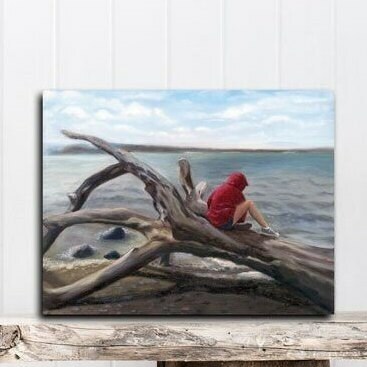 We came across this fallen tree while walking along the shore after a storm. 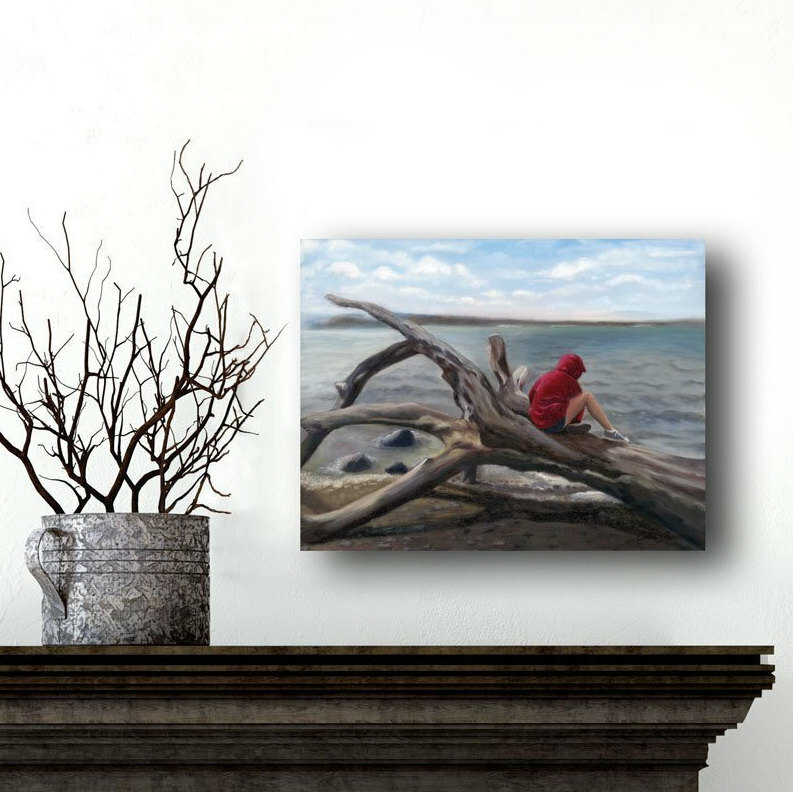 Climbing on it is irresistible to children and will remind us of the curiosity of children. 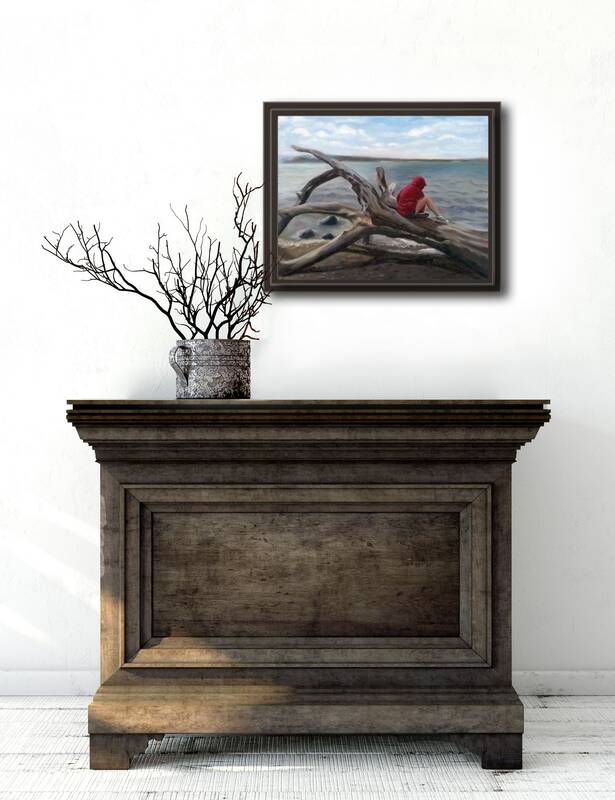 This coastal landscape painting will bring the peacefulness of the shoreline into your home and compliment any decor.